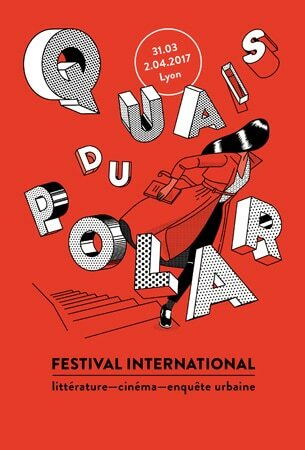 Major event on the world map of the noir genre, 2017 Quais du Polar’s edition will focus on the main theme “Europe, from East to West”, and other topics. This year, throughout this main focus, Quais du Polar will explore alternative or unknown territories of crime fiction: Germany, but also towards further East Romania, Ukraine, Estonia, Poland or Serbia. Singular – and often truly dark – new lands will be offered to readers’ curiosity. Music will be at the heart of the event: classical, rock, baroque, jazz, electro… Playlists of authors are increasingly present and sometimes carry readers through the variety of their fictional universes. With the complicity of musicians, music will support some encounters of the festival. For example, with the support of the Lyon conservatory and musicians, Donna Leon will make us discover baroque music, Grégoire Hervier will bring us the rock universe and Marcus Malte will immerse us into jazz. Among the guests, you can already take note of the following authors: Arnaldur Indriðason (Iceland), Ron Rash (USA), Megan Abbott (USA), Victor del Árbol (Spain), Lisa Gardner (USA), Donna Leon (USA), Val McDermid (Great Britain) and Philip Kerr (Great Britain), Gila Lustiger (Germany), Zygmunt Miloszewski (Poland), Andriy Kokotukha (Ukraine), Bogdan Teodorescu (Romania), Dror Mishani (Israel), Qiu Xiaolong (China-USA). Invited authors will present a Noir Weekend at the Institut Lumière, birthplace of cinema, and will take the floor in theatres of Lyon to introduce films and meet the public. The urban tour, which smashed all the records last year, with 15 000 participants, will take the amateur investigators from the Confluence Museum to the Town Hall. For this year’s edition, this great investigation will be doubled with an interactive game created by the Centre Factory and achieved by five schools and universities, which represents sixty students. Lyon has witnessed the birth of the LUMIÈRE brothers, criminal anthropology with Alexandre LACASSAGNE and forensic science with Edmond LOCARD. Not to mention some great names of crime literature, cinema or illustration with Frédéric DARD, Jacques DERAY, Bertrand TAVERNIER or Jacques TARDI. As Renaissance European capital of printing, book and humanism, Lyon is also a city which lived memorable popular revolts and political utopias. Over a long period Lyon has been synonymous with foggy rivers, the mysteries of esotericism and of its two-thousand year history, and of the dark vision conveyed by its leading writers such as Jean REVERZY or Louis CALAFERTE. It is now a metropolitan area on the move and a stronghold for European culture and art de vivre. Between the Saône and Rhône rivers, the fictional world of crime fiction is still present, a product of a constantly evolving urban, social and cultural environment. This is why, along with the greatest authors of the genre, we wanted the public to discover or re-discover crime fiction as a whole through a program providing a different perspective on the city. dapibus leo libero. eleifend non ante. adipiscing Aliquam elit. dolor.